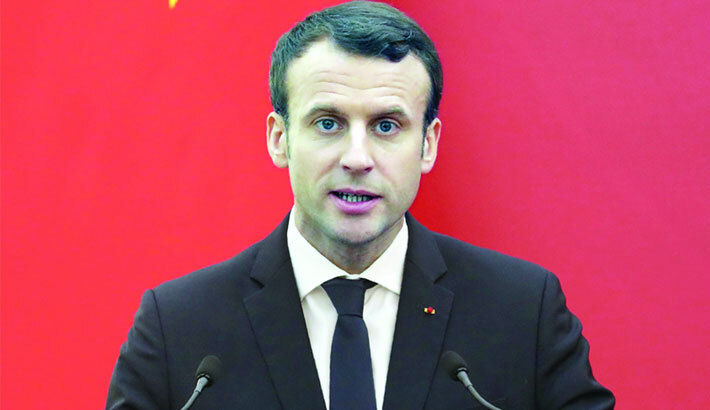 BEIJING: French President Emmanuel Macron pleaded on Wednesday for European unity in the face of China’s growing economic power as he wrapped up a visit to Beijing with several business deals, reports AFP. The value of the deal was not immediately disclosed, but at list prices for the single-aisle planes it could total at least $18 billion. Airbus had already announced on Tuesday an agreement to increase production of the A320 in China. In another breakthrough, China agreed to lift an embargo on French beef within six months. Macron and Xi also saw eye-to-eye on the battle against climate change, with both voicing their commitment to the Paris accord in the face of US President Donald Trump’s pledge to withdraw from the pact.